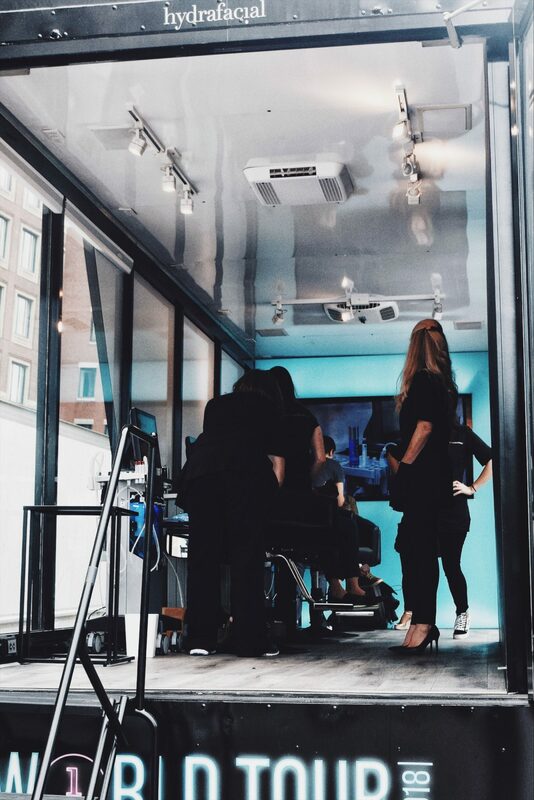 If you haven’t heard about HydraFacial yet, you’re in for a treat! 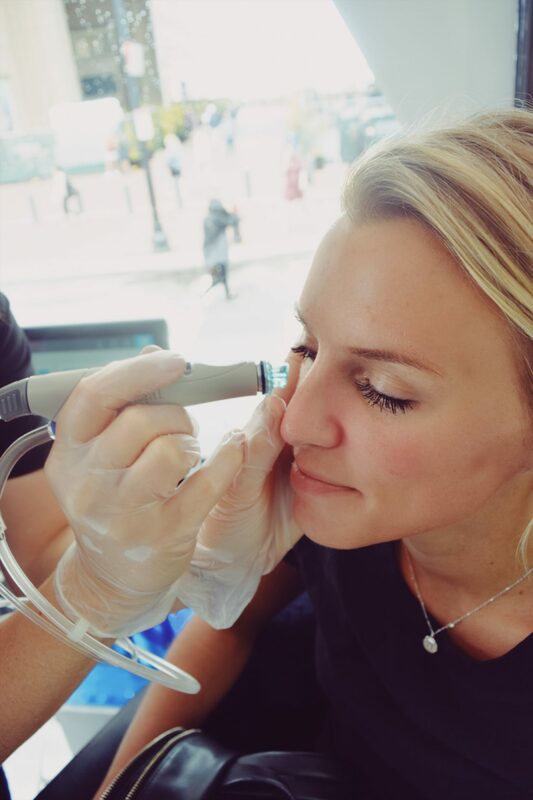 HydraFacial is essentially a non-invasive, facial procedure that gently exfoliates, cleanses, extracts, and hydrates the skin. It’s the PERFECT facial for right before an event. Have a wedding or party coming up? 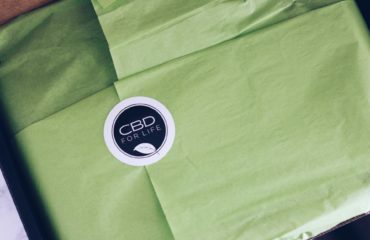 Just want to feel good about your skin? Go get a hydrafacial, seriously! Results are instant and there is zero downtime. You don’t even leave looking red, like most facials. 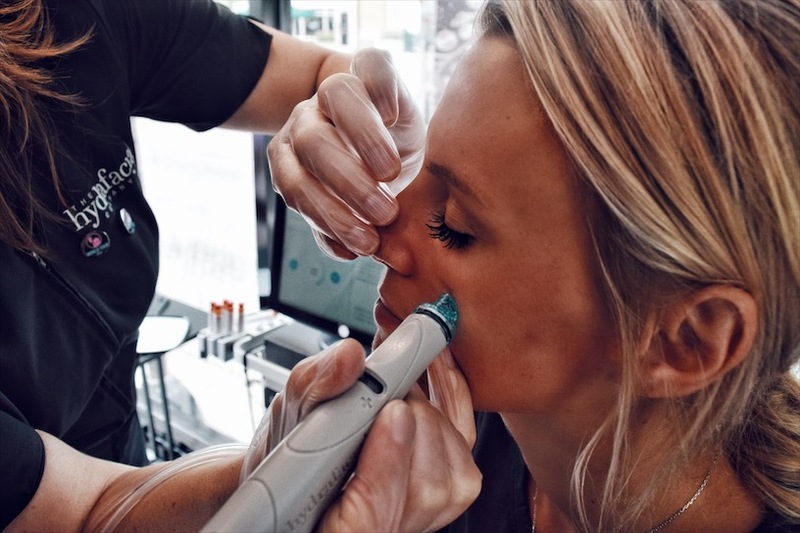 The machine that they use on your face is very similar to a microdermabrasion in which it‘s a handheld tool that gently glides over your face to exfoliate, extract and last but not least, hydrate the skin. 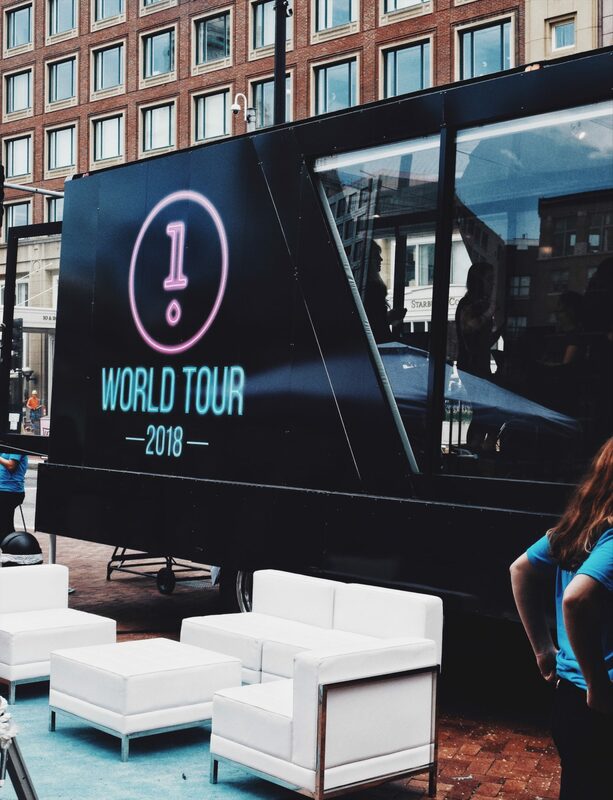 The best part is HydraFacial is on a world tour right now giving FREE HydraFacials! Check out their tour map, find the closest location near you and book yourself a facial! Be in and out with brand new, glowing skin in under 45 minutes. 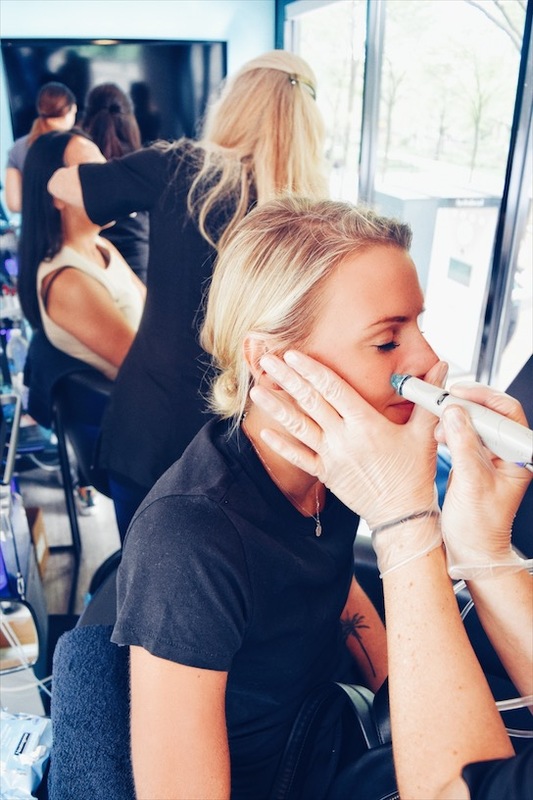 I went and got my first HydraFacial when the tour bus was in Boston and I’m obsessed! My skin literally felt like it was brand new, it was glowing! I defintely look forward to getting my next one! There are tons of Hydrafaicals providers all over the world! So if you can’t make the Hydrafacial world tour, don’t stress! 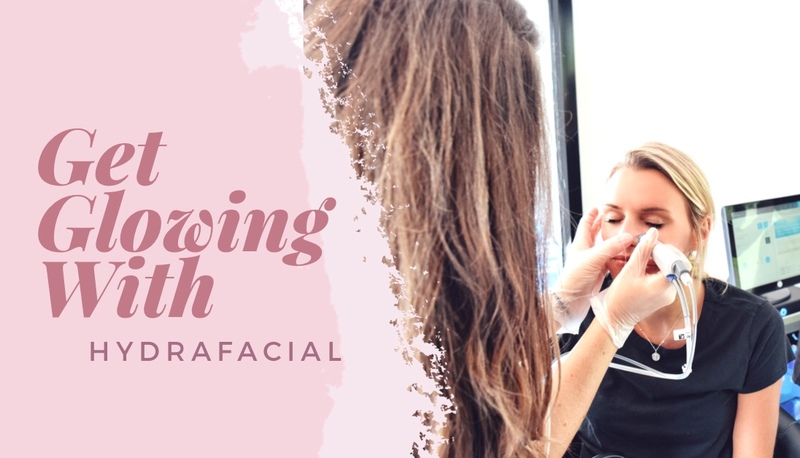 Click here to find the closest provider to you and go get yourself a facial! Your skin will thank you and I promise you’ll be happy you did! It was great to meet you!! 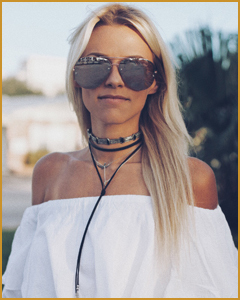 So glad you loved your HydraFacial!